Mice and Spiders and Webs…Oh My! is a Mystery! 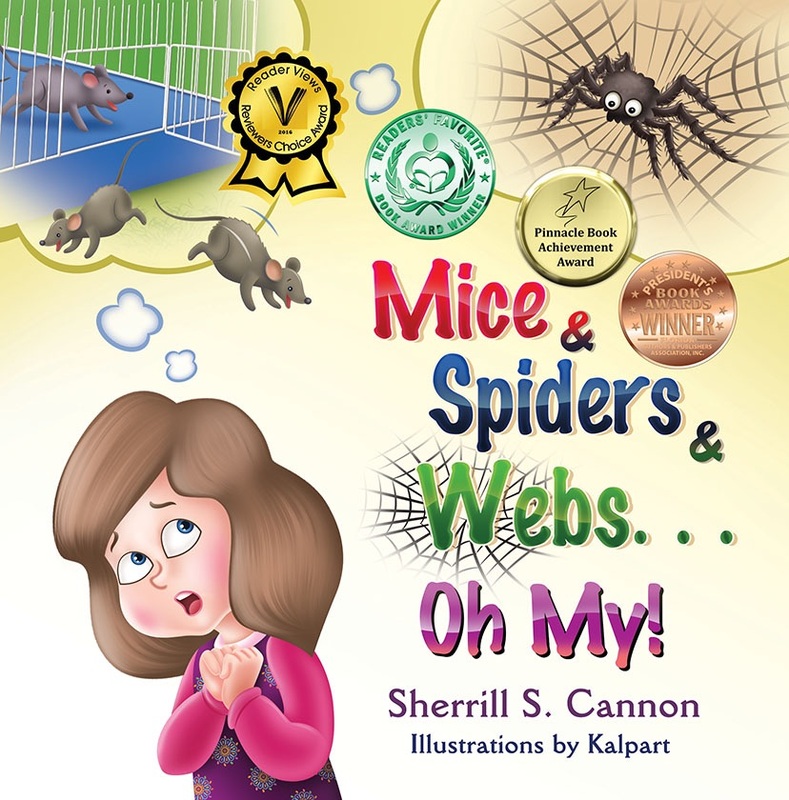 Winner of 5 Awards, Mice & Spiders & Webs…Oh My! illustrates the importance of being a good listener. It also is a cute introduction to basic computer terms. It has won a Global eBook Gold Medal, a Bronze Medal in the FAPA Awards, a Readers’ Favorite H.M. Award, a Reader Views Reviewers Choice H.M, and also a Pinnacle Achievement Award. This entry was posted in Award-Winning, Behavior, Children's Picturebook, Christmas, Computer speak, Computers for Kids, Good Listening, Picture Book, sherrill s. Cannon, Uncategorized on December 9, 2016 by Sherrill S. Cannon. This entry was posted in Award-Winning, Children's Picturebook, Computer speak, Computers for Kids, eBook, Picture Book, SBPRA, sherrill s. Cannon, Uncategorized on August 14, 2016 by Sherrill S. Cannon. Mice and Spiders and Webs…Oh My! 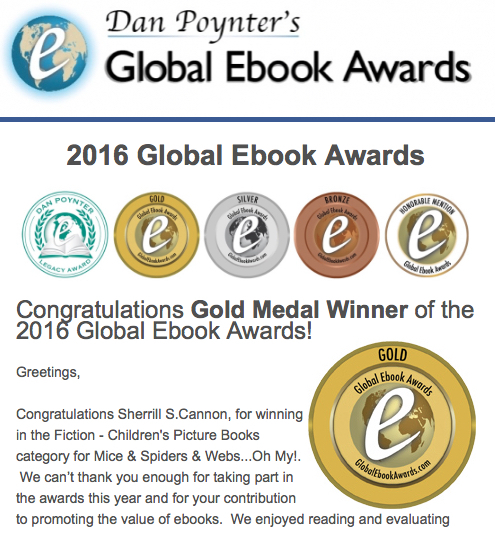 Wins GOLD in Global EBook Awards! 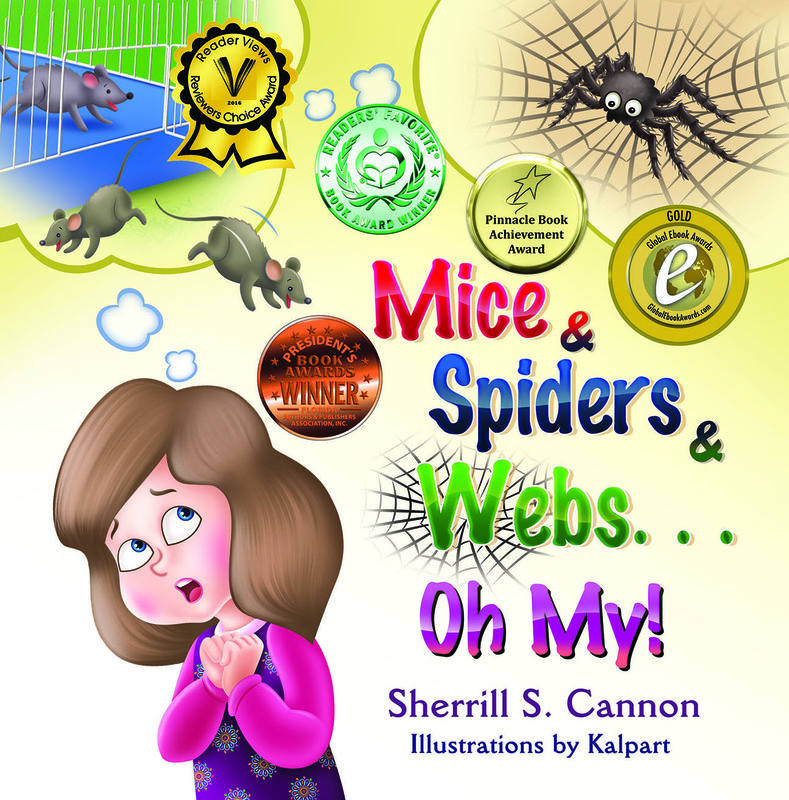 So thrilled that Mice & Spiders and Webs…Oh My! has won the GOLD in the Global EBook Awards!!! This entry was posted in Award-Winning, Behavior, Children's Picturebook, Computer speak, Computers for Kids, eBook, Picture Book, SBPRA, sherrill s. Cannon, Uncategorized on August 14, 2016 by Sherrill S. Cannon.